Most of the villas in Beijing are located at the northeast of the city, in this nice area which is called Shunyi. The villas you can find in Shunyi are the more varied and the best ones you can find in Beijing. Overall, the area is greener than the rest of Beijing, with larger areas to do sport, to walk. This is close to the airport and features a large foreign community. All these advantages together make of Shunyi an attractive place for foreigners in Beijing. There is as well a trend to try to escape from Beijing downtown and its heavy pollution. Actually, the pollution in Beijing is located all over the region and the air in Shunyi is only slighly purer, but there is inndeed a feeling of being awy from the worst of the pollution concentration when you live in Beijing. This might be a reason to chose a villa instead of an apartment. Villas in Shuni exist in various categories: houses and semi-detached houses. These places are ideal for kids, as there is gardens, protected streets and because most of the international schools in Beijing are located in Shunyi. A beautiful place with large villas, with a good management the location is convenient but might be a little bit hrd for taxis to find, the standing is really good. These villas are american style villas with a good clubhouse, kindergarten cafés and restaurants. Large villas with different layouts. Really great clubhouse and top choice if ou are looking for a villa in Beijing. The standard of the villas and facilities make it a genuinely good place to live in. A style that reminds of Chinese tradional archtecture. Great place, european interior design, very close to Beijing international schools. Excellent management, great standing, high security. Inside the compounds there is a beautiful series of lakes, one of the best real estate choices in Beijing. Luxury acccomodation in Beijing, good location in Shunyi, nice clubhouse, great features such as equestrian club, swimming pool, golf green. Large green spaces, good standing accomodation, practical designs with different layouts. Good management, good standing, family friendly. Some layouts are great, some other a a bit getting old but this is overall a very good place to live in. The houses there in different layouts have great standard of accomodation. Among the best villas to rent in Beijing. 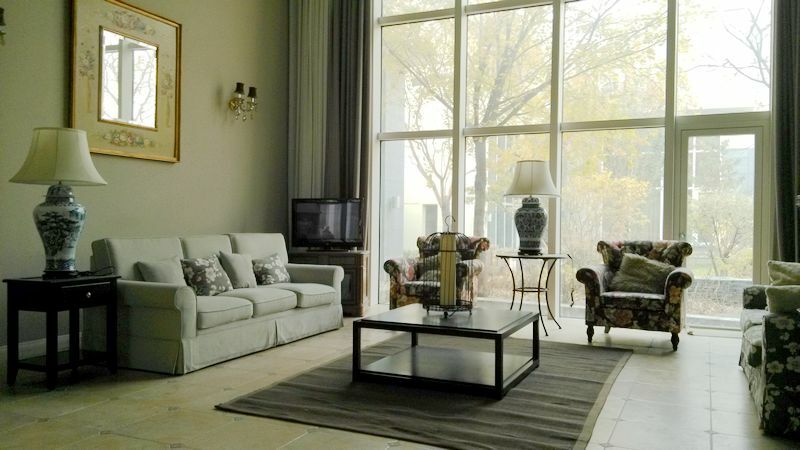 Good villas with a good location in Shunyi, good management. A calm and quiet compound inside Shunyi. Good management, good standing, quiet compound.